First of all, we'd like to apologize for our absence! It's been about two years since we last uploaded a neighborhood... we're sorry for that! Things got busy and all... but now, we're back with a new neighborhood AND a new member, Tamas! So... welcome to the group, Tamas! Remember the poll we made back in April 2015 about what custom neighborhoods you would like to see created next? The result was a tie between Sci-Fi and City Life! Now, we've finished one of them.. and the Sci-Fi neighborhood is already in the works, so stay tuned for more neighborhoods to come! However, this neighborhood project was a special one, as we've put so much group effort in it! When we first started with it in May 2015, we had the impression that Emerald Heights was such a huge project, it seemed to take forever to complete. But now, we finally did! We thank you all for your contributions! You all have been a great help to us, especially Peni Griffin, Jojoa777 and M.M.A.A.! Now, we're proud to present you the FINAL version of Emerald Heights! Emerald Heights used to be all green once. It was a nice garden town. But then something has changed Emerald Heights forever! It dried out all of sudden and became a wasteland. 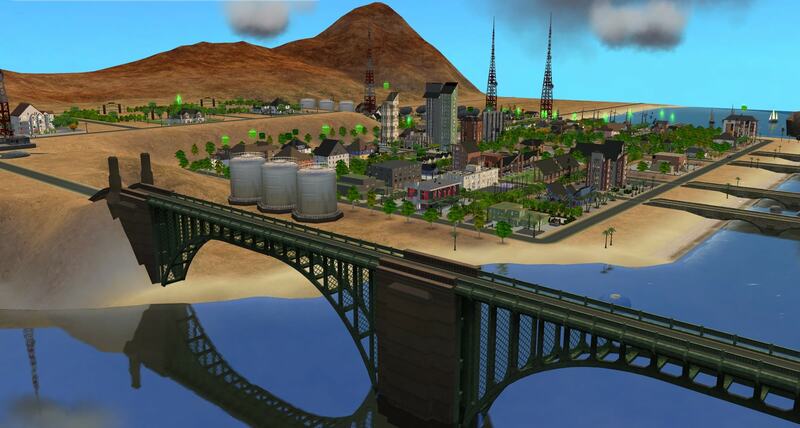 But then the highway was lain down and Emerald Heights became a busting desert city as it is today! 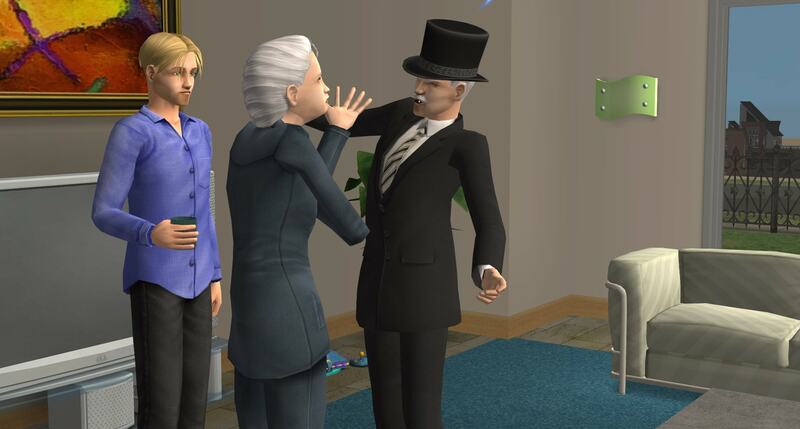 With so many sims moving in and so many changes going on in such a short time frame, what will Emerald Heights become next? 1. 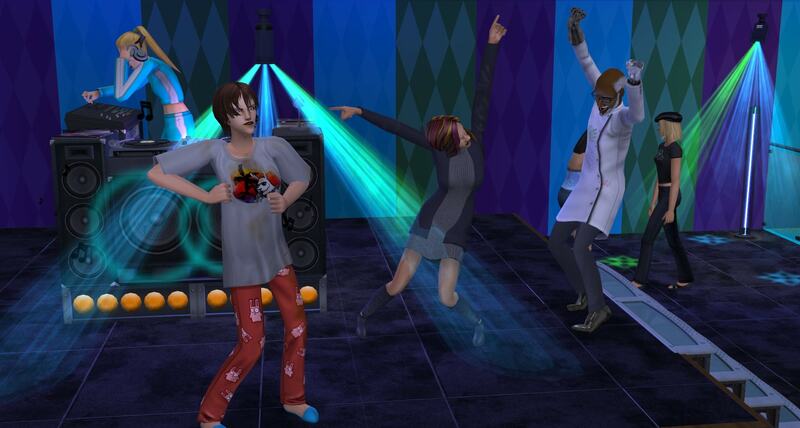 Put the folder EH01, EH02, EH03 or EH04 into your Documents\EA Games\The Sims 2\Neighborhoods folder. 2. 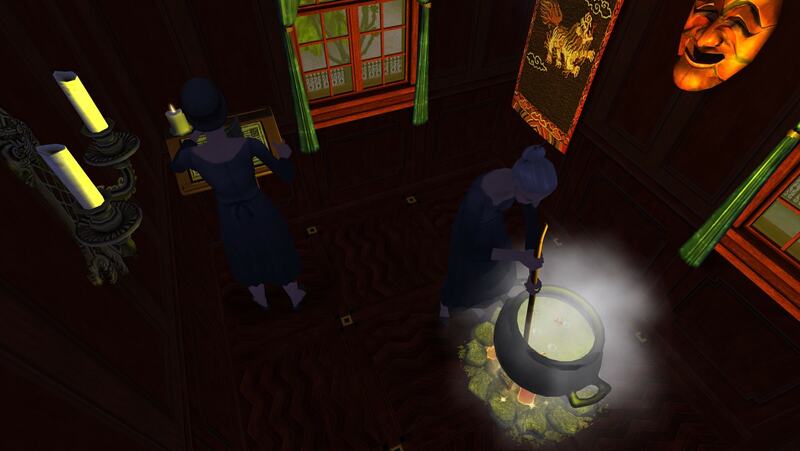 If you only have the Base Game installed, you will have to copy the contents of the Storytelling folder into your Documents\EA Games\The Sims 2\Storytelling folder in order for it to function properly. Later EPs do not have this requirement. However, if you don't have Pets or a later EP/SP installed, you can temporarily remove Downtown (D001) from the NeighborhoodTemplate folder and move this subhood in there. It will still be referred as Downtown in the game. 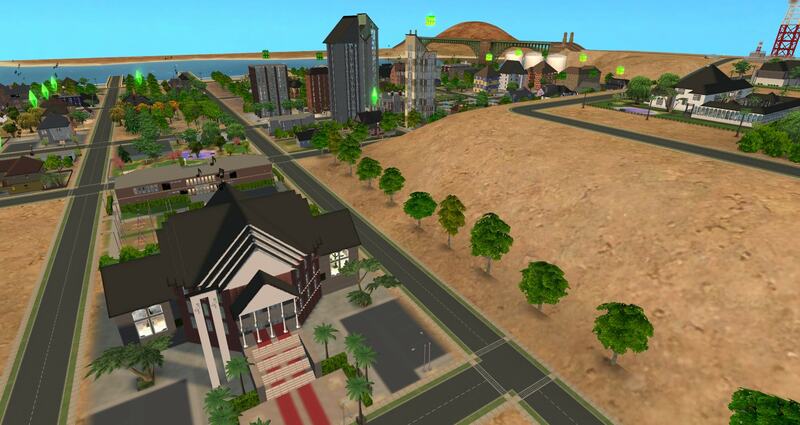 But the game will add Emerald Heights to your neighborhood. Restore D001 after adding the subhood and you're done. 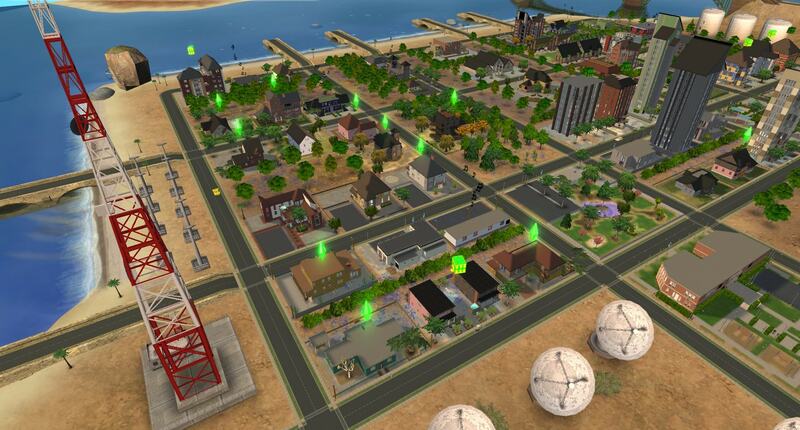 By default, only the first downtown added to a neighborhood will have its sims. All other downtowns will be empty. 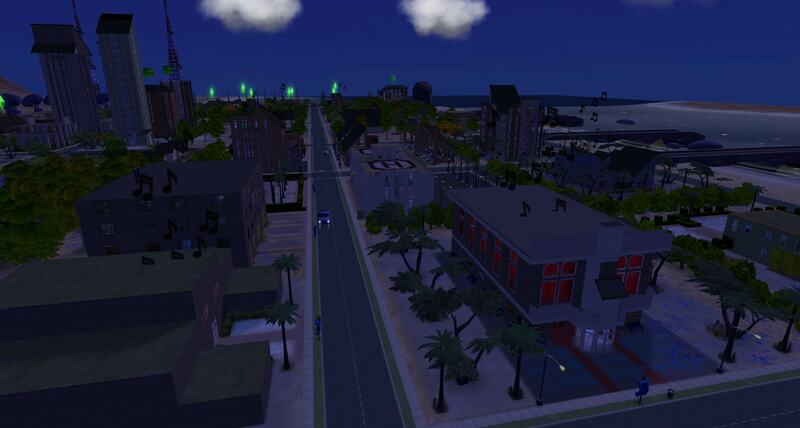 So, if you add Downtown first, then you won't have the Emerald Heights sims. They will simply be deleted - and, as you know, EA doesn't delete the sims properly - the junk references can be seen in SimPE. In order to solve this issue, please try this method. This is a game bug and is not related to Emerald Heights. 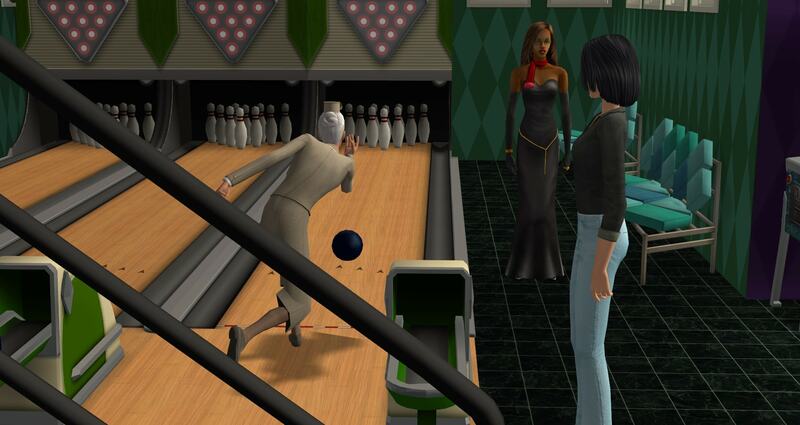 Affected is one sim -- Knight Blaque! 3. In the â€œResource Treeâ€� scroll until you see the Neighborhood memory record, click it in the resource list, then from the Plugin View choose the Blaque family. Emerald Heights comes in 8 versions, while four of them are main hoods and the other four are downtown subhoods. They come either with or without apartments & either with or without sims. No CCs have been used in any of these 8 versions. Have a look at the Download section for more information. 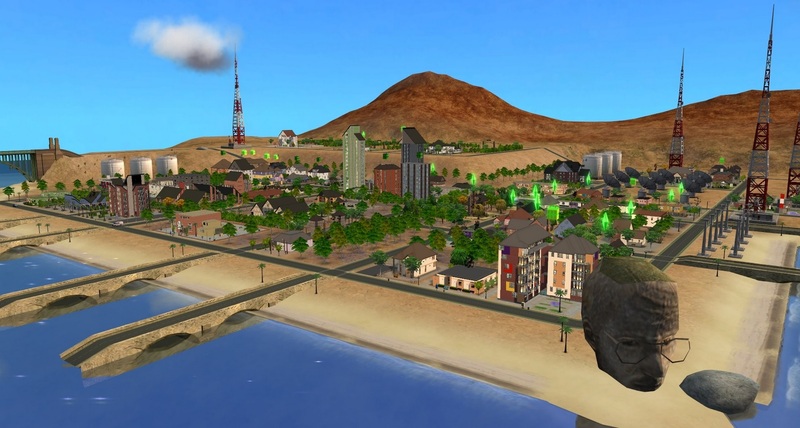 Of course, there's also a Base Game compatible version of Emerald Heights. 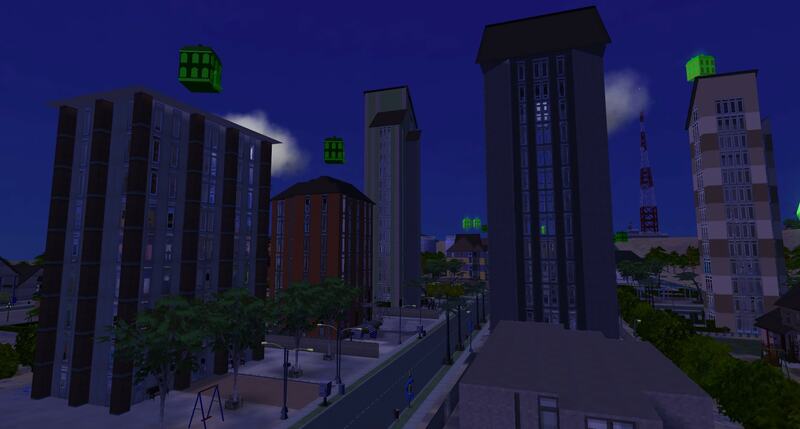 Note: Because of a bug regarding subhoods with occupied apartments, we had to move out the affected families in the Nightlife + Apartment Life subhood version (DEH3). Some the families, who're actually supposed to live in apartments, are found in the family bin. After installing the subhood, you may move them back in, though, and use either the debug option or Pescado's apartment hack to rent the apartments furnished. Have a look in the comments to find out where they're supposed to live. We used a custom SC4 map, made by M.M.A.A. for this neighborhood. You don't need a camera mod for this neighborhood. You'll see all of the lots with the default camera. Speaking of lots, Emerald Heights has 73 lots in total; 39 of them are community lots, 21 of them are residential lots and 13 of them are apartment lots. 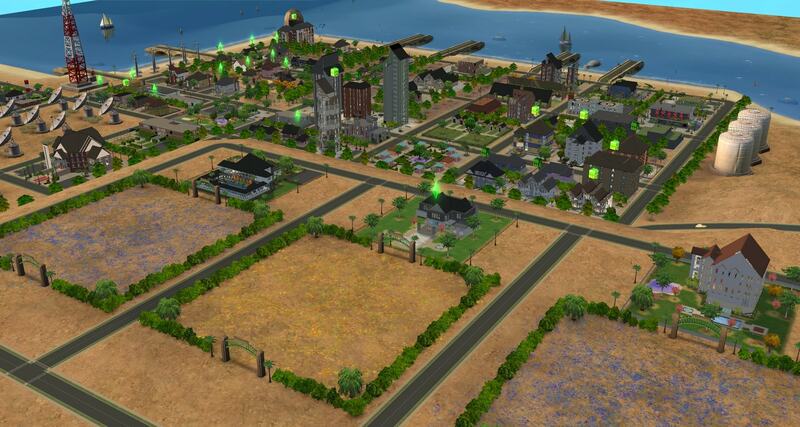 Because Emerald Heights is a urban neighborhood, there also are lots of households! We've included 20 of them. Some are easy to play... some of them are a little bit challenging, taking the Group Home as an example. Some got into financial issues, some live in comfort and luxury... some households consist of 1 single sim only... one household consists of 8 sims... you see, we've got a lot of diversity to offer! All families should come complete, with 5 Storytelling pictures each in their family album and with memories! 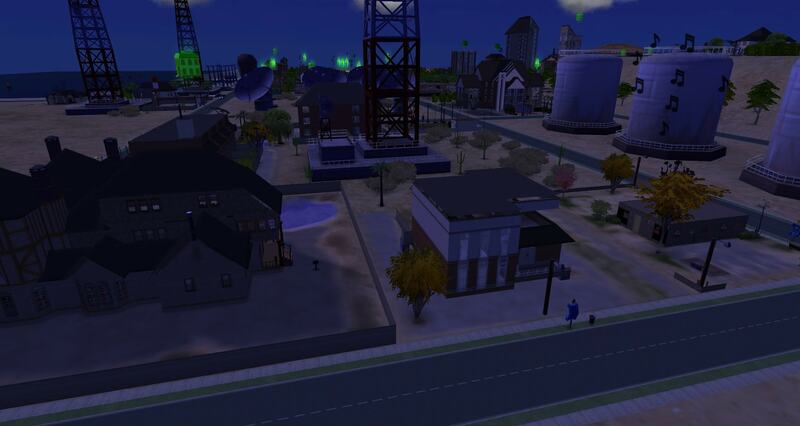 Even the townies and the NPCs, which have spawned during development, have memories, so you may want to download a mod that lets the memories stay at move-in. 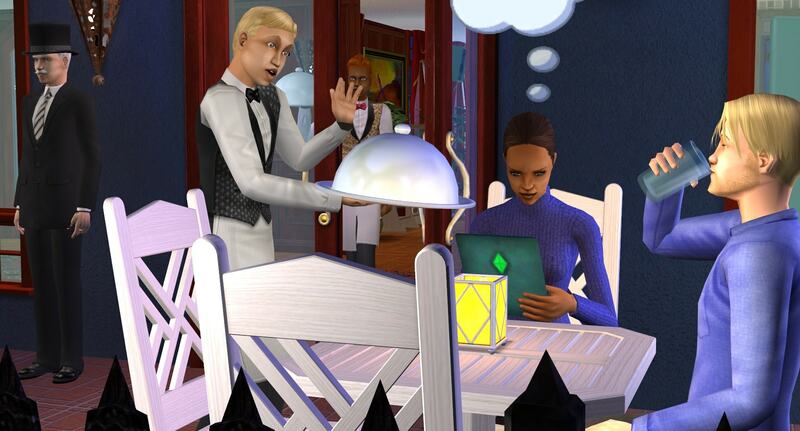 By the way, the graveyard comes with pre-made resurrectable ghosts! However, one of them is a child ghost... we recommend you to keep her there. 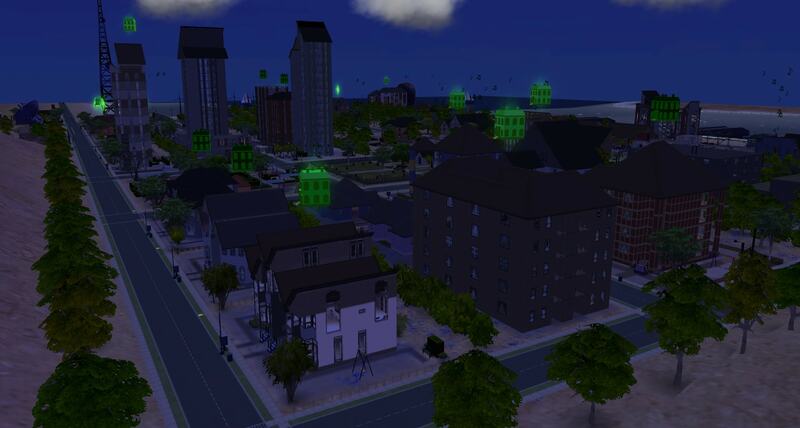 Child ghosts on residential lots have been reported to become glitchy, while on community lots, they are fine. Of course, she's safe to resurrectable like any other ghosts. Have a look in the comments to find out more about the lots and the families in Emerald Heights! Oh and feel free to post your stories in threads like What did you do with the Emerald Heights characters?. 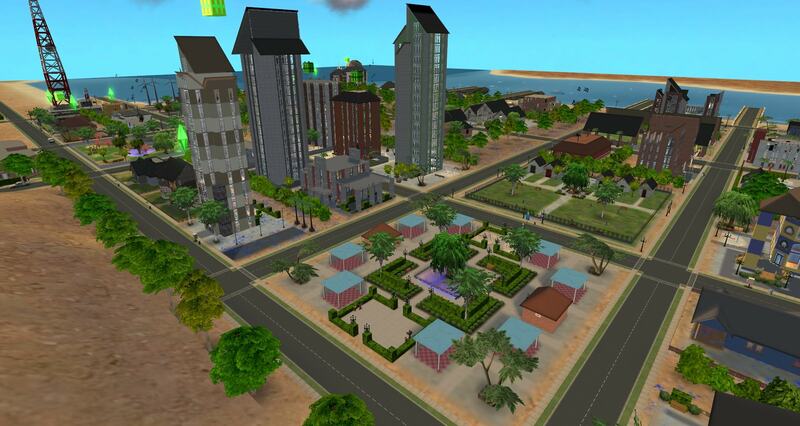 Emerald Heights has been created using Numenor's AnyGameStarter with no Maxis content. 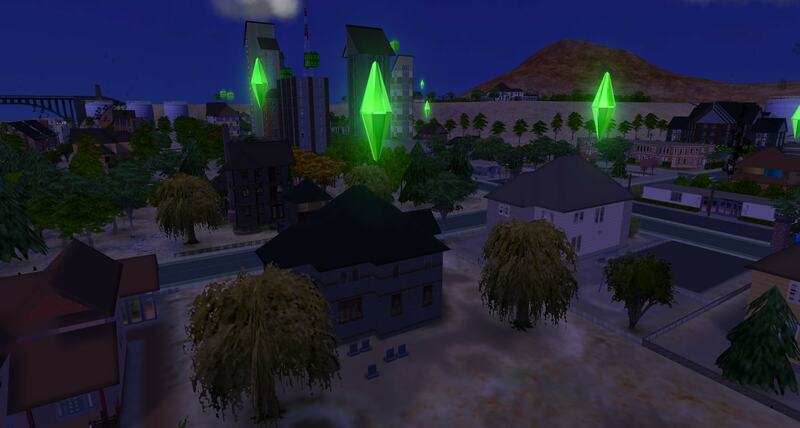 Meaning Emerald Heights was completely empty before we added the sims. As usual, all of the lots have been compressed using Mootilda's Lot Compressor to reduce the file size of this huge neighborhood. The neighborhood's been checked through Mootilda's HoodChecker and no issues were found. And last but not least, a big thank you goes to all of our contributors ... but in particular Peni Griffin, Jojoa777 and M.M.A.A. you all were the most helpful people in this group project! Thank y'all for donating your lots! Without you, we'd have never got so much diversity in one single neighborhood! Thank y'all for your time and playtesting! Without you, we wouldn't have found the issues you pointed out. And of course, a big thank you goes to everyone who posted in the Creator Feedback forums, as well. 231 people have said thanks to Hood Building Group for this download.